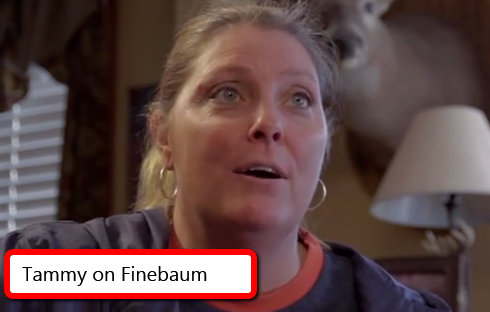 If you live in Alabama, chances are that you have most likely met a redneck Auburn fan like Tammy on the Finebaum radio show. In Tammy's own words, "A redneck is someone who talks without thinking and don't care." She doesn't care what Alabama fans think, so she's a complete redneck when it comes to football. If you dig a little deeper, however, it is abundantly obvious that she cares about people. That can be clearly demonstrated on video in her visit with Paul to Robert in Iowa. It was a beautiful thing that she did. Be sure to watch the video if you have not already..
Auburn fans in general are a different breed. They are absolutely giddy over the Tiger's big turn-around this year (10-1) after limping into last year's Iron Bowl with a putrid 3-8 record. And who can blame them? Auburn is having a good year this year, but in my opinion the barners have been drinking the Kool-Aid way too much. They are beginning to believe they can beat Bama. I beleive they are wrong, obviously, but they are entitled to their Tammy-like delusions. It has to be played out on the field and Saban will have his troops ready. Anyway, I have encountered several Auburn fans lately that are so Tammy-like it is uncanny. Tammy if you don't know her, has a knack for yelling & ranting incessantly about the greatness of the Auburn Tigers. She also rails against the "Bammers" in an ongoing torrent of put-downs to anything related to the Crimson Tide. It is just a little too much to take when I am listening to Finebaum on the radio. I guess it is par for the course in the Iron Bowl for a state where families are divided and you must choose a side, Auburn or Alabama. I have to hand it to her, however, as she is entertaining even if a bit obnoxious. Listening to her is like the wreck you can't stop looking at. Maybe you are a Bama fan eating Turkey today with a family member like Tammy. Hearing War Eagle across the Thanksgiving table is not uncommon in Alabama, as the ribbing goes both ways. Take it in stride, and give it your best Roll Tide... because in the end.. Bama & Auburn fans are all family anyway. If you have not heard her, watch video below.